Kick off your growing season in lush green style! Get those gardens ready and come to The Conservation Foundation's McDonald Farm in Naperville on Saturday, May 12th from 8am to 1pm. 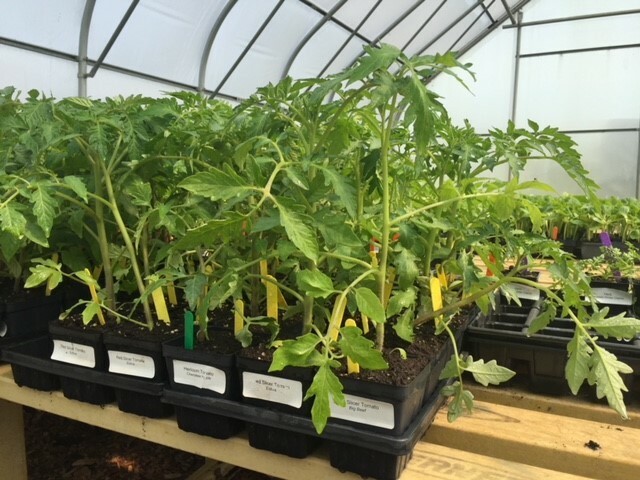 We will have organic vegetable seedlings, native perennials, trees and shrubs for sale, as well as rain barrels and accessories, and it's also a great chance to take a tour and just spend some time enjoying McDonald Farm. Organic Vegetable & Herb Plants For Sale grown by The Conservation Foundation's Green Earth CSA, including tomatoes, peppers, kale, and herbs. Click here for an organic seedling variety list. Veggie gift boxes & collanders, perfect for Mother's Day! Click here for a native plant variety list. Farm Tours - Please register for all that interest you!